Guillermo A. Gascue – Murray, Morin & Herman, P.A. Guillermo A. Gascue is an experienced litigator who has successfully defended cases concerning auto & trucking, breach of contract, construction defect, property and casualty, premises liability, commercial claims, and aviation. Mr. Gascue was born in Caracas, Venezuela. He graduated from Northern Illinois College of Law, where he was a moot court and trial team member. While in law school, he participated in multiple national moot court competitions. Mr. Gascue also litigated cases as an Illinois Supreme Court Rule 711 Associate, gaining valuable trial experience. He also worked in NIU’s Office of the General Counsel representing the university in court and contributing to policy and university governance projects. Mr. Gascue earned his B.A. in Political Science with minors in marketing and business from Florida International University. He is fluent in Spanish and conversant in Portuguese. Mr. Gascue is a licensed private pilot with flight experience in the U.S., Caribbean, and South America. He is a member of the Aircraft Owners and Pilots Association (AOPA). 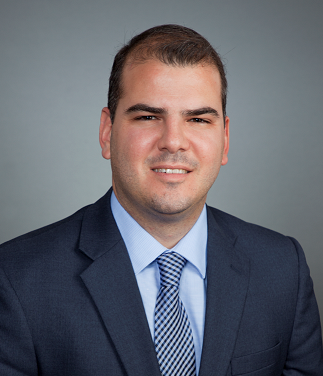 Mr. Gascue is admitted to practice in all Florida State courts as well as the United States District Court for the Middle District of Florida. He is also a member of the Broward County Bar Association and the Venezuelan/American Bar Association.